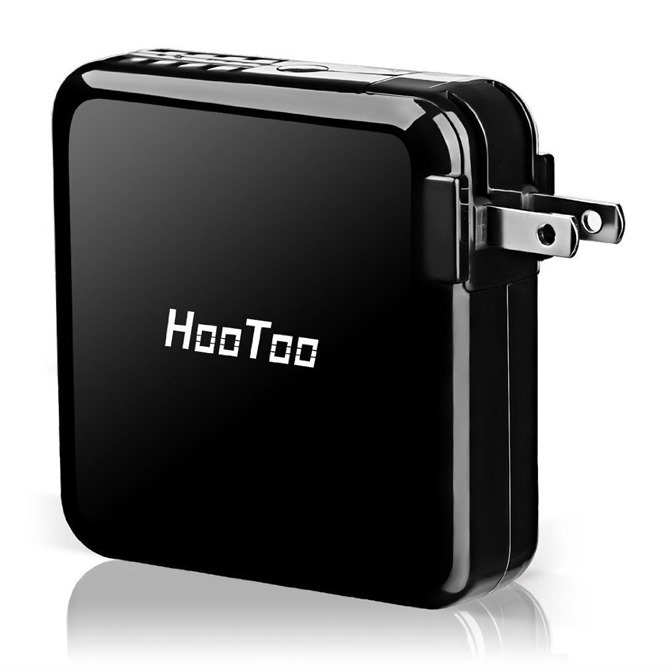 We've written about HooToo's travel routers in the past because they're very good at what they do. What do they do? They make it possible to share an internet connection on the go with your various devices. 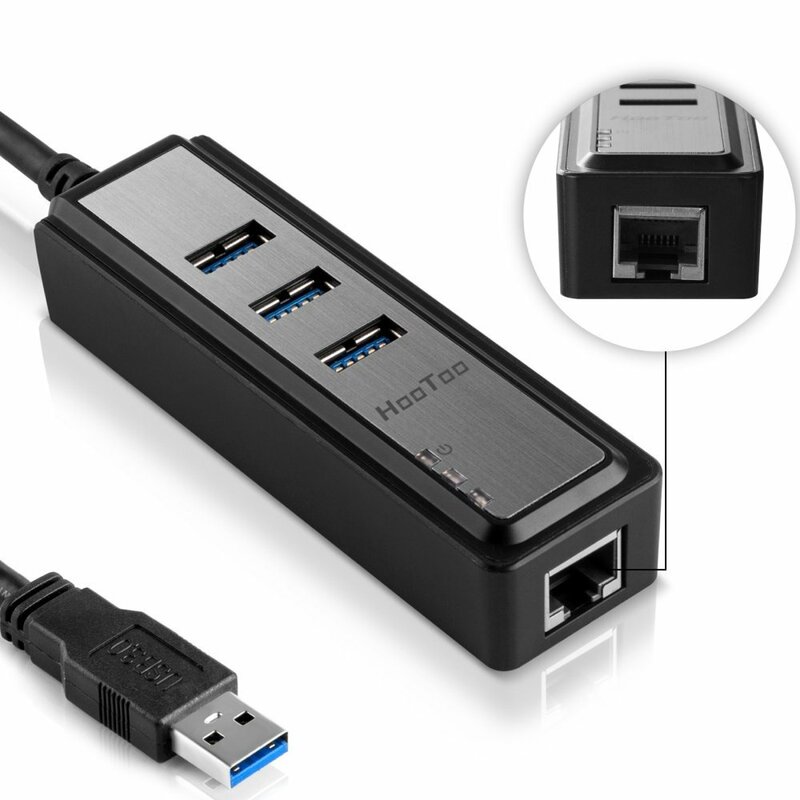 The powerful TripMate Titan is a fairly new entry in HooToo's lineup, and it's on sale today for $10 off. 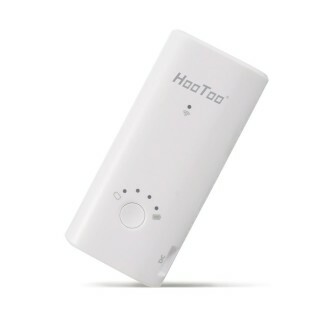 HooToo makes some unique and versatile gadgets. These portable boxes include USB rechargeable batteries and tiny Wi-Fi routers: plug in a standard Ethernet connection, and you'll get your own wireless network - perfect for hotels that charge for slow Wi-Fi, or simply don't have good reception. 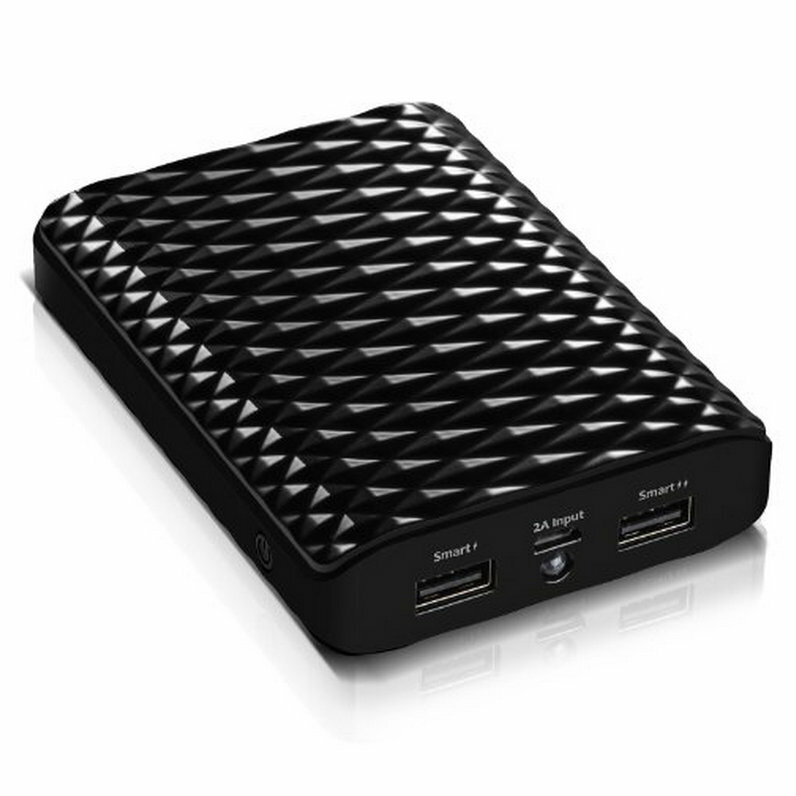 They can also wirelessly share files from USB drives and (on at least some models) MicroSD cards. Today you can take 20% off the entire range of various HooToo TripMate gadgets with the coupon code "KT7JMSMB" on Amazon. 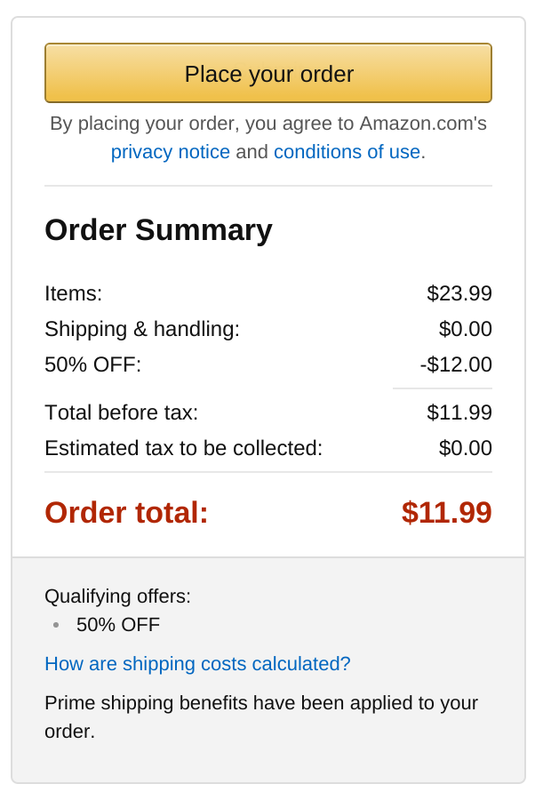 All of the models are available with free two-day shipping for Amazon Prime members. External battery packs are nice to have lying around. They're one type of product where even if you already have one, it's good to have another. Who's going to complain about having too much backup power available? So here's a cheap way to take your current number of battery packs and increase it by one. 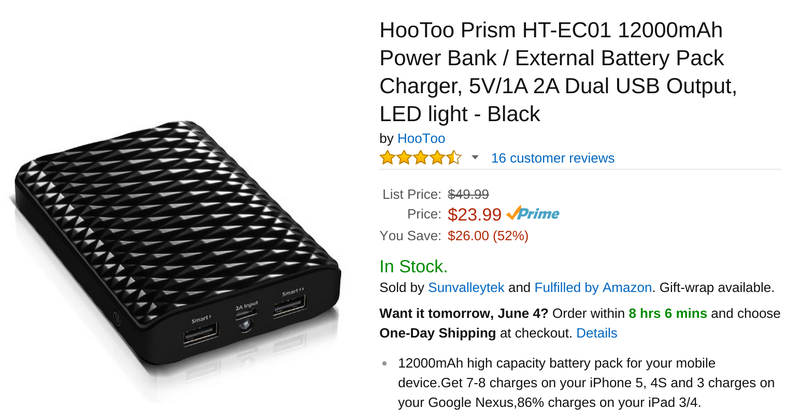 The HooToo Prism power bank is available on Amazon for $24, but with the use of coupon code E74NXWUD, you can strike that down in half. $12 for 12000mAh? Not bad at all. 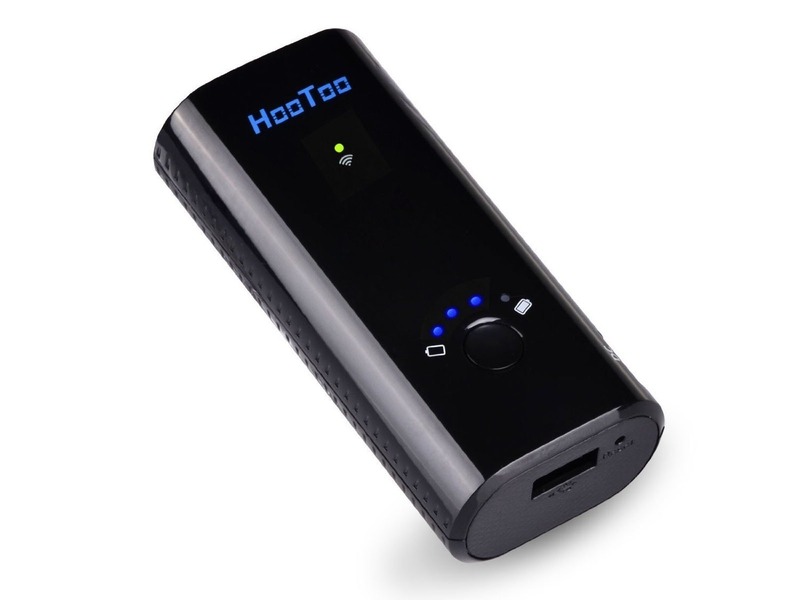 The HooToo Prism comes with two USB ports (5V/1A and 5V/1-2.4A) and an LED flashlight. Is it too much to ask to have a device that simply does all the things? You know, all the things. It can plug into the wall for power, store 6000mAh worth of juice when an outlet isn't close by, function as a hotspot for nearby devices, and serve as a personal cloud that shares USB storage wirelessly. This sounds like a great thing to have while traveling, so seriously, is wanting one too much to ask? Wait, you're telling me that such a gadget exists? Huh, look at that. 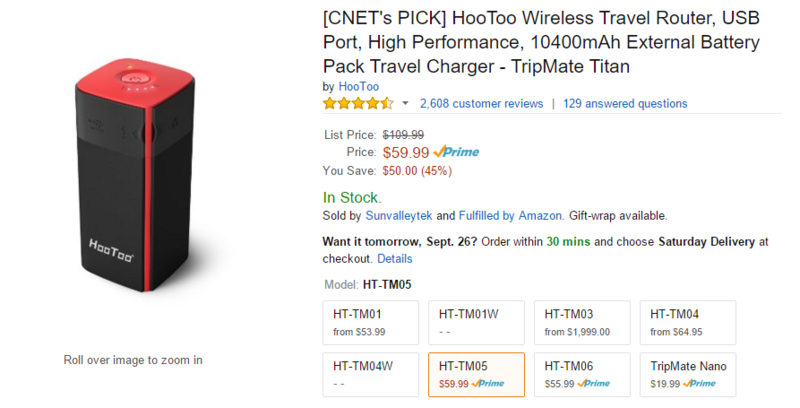 The HooToo TripMate Elite does all of these things, and it goes for a relatively decent price of $46.99 on Amazon. As a technology obsessed individual (hey, you're the one reading an Android blog), you probably take things like external batteries and travel routers on trips. 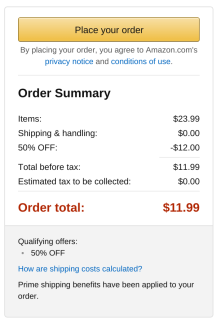 Well, there's a product that can take the place of multiple devices, and it's on sale. 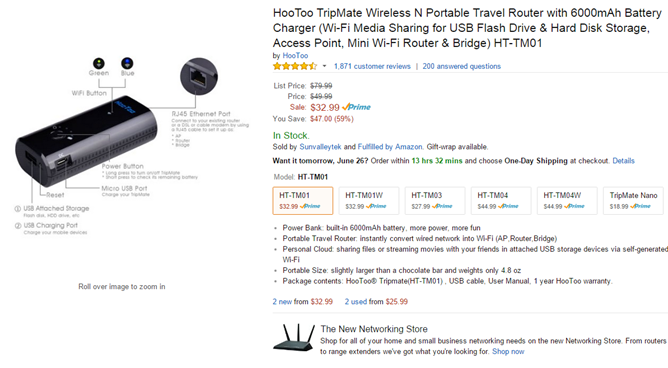 The HooToo TripMate Wireless N Router has a built-in battery to keep your devices juiced up and offers wireless access to USB storage. This thing is kind of like a mobile Swiss Army knife... without all the knives and stuff.